Designed for VR Arcades. Fun For All Ages! Home → Our Blogs → Retro Type Gaming Built For VR Arcades! Check out some of the latest games available on Synthesis VR that proves old styles of gaming can be re-imagined for virtual reality in fantastic fashion and having a job to do in vr is a ton of fun. Blast threw fiery enemies and save the day. It aint easy being green, but gear up rookie its time to do your job! Your the fire department’s newest recruit. 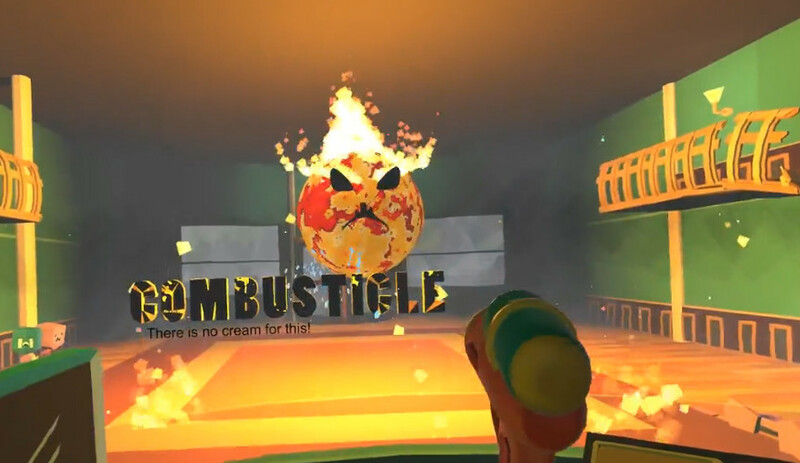 Your training is over and now its time to put your skills to the test.Battle through burning buildings equipped with water pistols, water shotguns, and an axe to smash your way through. There is no time to second guess, people are in the building and need heeeeeeelpp. Built exclusively for VR arcades, Paper Fire Rookie Arcade features 2 levels where players have to fight through fiery enemies to get to the final boss in the best time possible making it addictive and re-playable. Add Paper Fire! Rookie Arcade to your arcade with a friendly ppm option. Classic arcade gaming in virtual reality. Climb the leaders board in true retro arcade game fashion. With single player and online co-op, Mega Overload provides instant fun as players are equipped with blasters in both hands in this action packed shooter that’s easy to pick up but tough to master. Strategy is key, play it safe or gamble with guns a blazing! With a variety of bots to blast and blasters to blast with the blastiest blasters will boast their highs score in your arcade with Mega Overload! 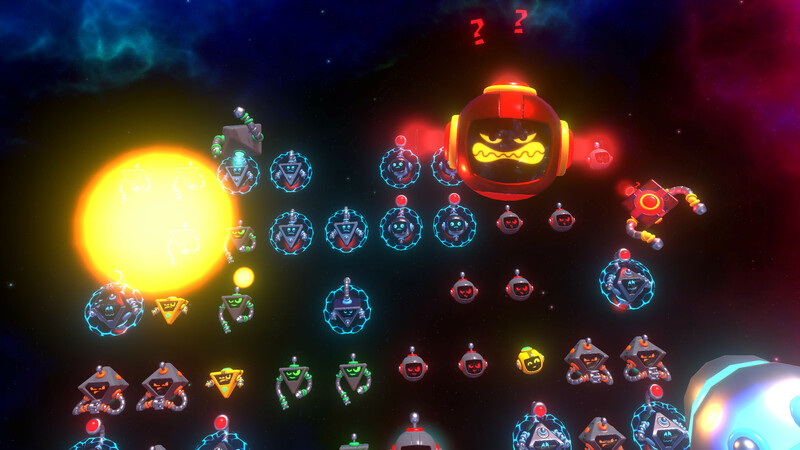 License Mega overload for your arcade today with ppm, monthly, and floating options. Play your card and watch the battle play out in front of you. May the mightiest deck win. From the makers of Arizona Sunshine, Skyworld Kingdom Brawl is a truly unique and stunning strategy card game set in the universe of Skyworld. 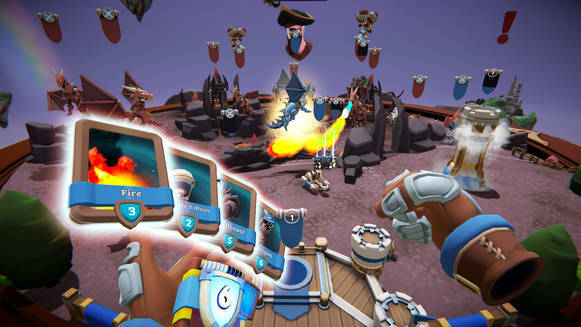 Skyworld Kingdom Brawl features 20 different arenas to do battle, and over a dozen cards to cast spells and summon forces to annihilate your opponent. Anyone that’s played classic strategy card games is really going to enjoy this title, and its immersive battles will entertain everyone. Skyworld supports clans, global leaderboards and tournament play. Great for repeat players and membership holders. Licence Skyworld Kingdom Brawl free for a limited time! Paper Fire Rookie Arcade, Skyworld Kingdom Brawl, and Mega Overload VR.